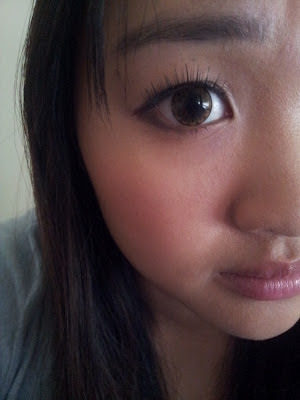 On the topic of 'crazy' (well... not really) I received a pair of circle lenses from MukuCHU called 'Daisy 3-Tone' which have the pattern of a daisy. They're more like yellow than brown but colour-wise, they look very natural when worn because of my dark brown eyes. And I love all 3-tone lenses because that means that they blend in better for dark eyes instead of it being a pop of colour that may freak someone out. If that's what you want to do then these lenses won't be a good choice for that haha. I took pictures on a day where I thought that the sun would show up but no, the sun didn't come out at all. Hopefully the pictures are still okay and clear enough. They definitely enlarge the eye without having too much of a dramatic effect. No thick, black limbal ring or harsh outline in the centre where the pupil is. I had originally thought that the daisy pattern would be very obvious in both natural and flash lighting but nope, it's very subtle in daylight. Perhaps on lighter-coloured eyes, the pattern would show up a lot more but since circle lenses are manufactured in Asian countries, they are probably specially designed to be more suitable/wearable for Asian/dark eyes. That's just my guess. And under low-quality photo settings, the lenses look dark brown/black. Very natural! 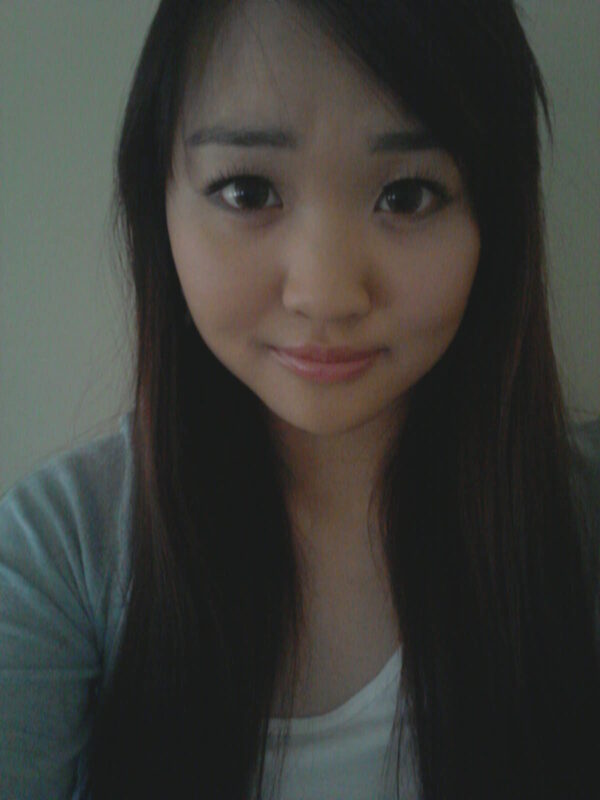 So really, these lenses have varied effects depending on the lighting however they generally look natural on dark eyes. Don't let the diameter scare you too much - I too used to think that 14.8mm was HUGE but I got used to them and now I reckon the size isn't too big/dramatic. It really depends on the pattern and colour - I think diameter makes the least impact when it comes to appearance. Though when it comes to comfort.... it usually comes down to the brand and diameter. Did you know that comfort does differ from brand to brand? I've worn circle lenses for 4 years (not constantly but 4 years ago was when I started wearing them) and I've tried many different brands but the two that I trust the most are GEO and EOS (and they're usually the two that I review the most) because they are the biggest manufacturers and GEO has an anti-fake system which is great reassurance. Anyway, I've personally discovered that EOS lenses are thinner but they're both just as comfortable. These are EOS lenses and they were very comfortable to wear for hours. Only experienced irritation when I accidentally wore one on the wrong way T_T I wouldn't wear large diameter lenses for long periods of time i.e. anymore than 6 hours as less oxygen reaches the eye compared to 14mm lenses. When I go out I would prefer to wear 14-14.5mm lenses just to be on the safe side. But if you do decide to wear 14.5+mm lenses, you must have eyedrops and don't exceed 6 hours of wear! You can say good bye to that hair by the way.... today it got the chop. I asked the hairdresser to take off 10-15cm off and that was what she did! I have medium-length hair again and you can check out the picture that I took after my haircut and posted on Twitter. Or you can wait until I take blog pictures next time hehe. 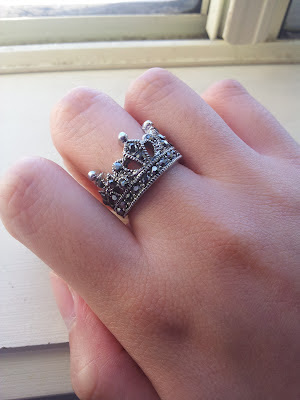 I'm going to leave you with a picture of my new and current favourite ring. I bought it from Valleygirl for $3 and it's a crown *__* The last one there too, size S/M... how perfect :) If you know me well enough then you would know that... I LOVE CROWNS AND TIARAS! 'Daisy eyes' aka Daisy lenses - what are your thoughts? Haha that's awesome :) These would look amazing on you! The lens look really gorgeous on youuu! And the ring is super-cute! This design is so pretty! The color is rather interesting though. I'm surprised it's not more brown-ish. Super pretty, I love the flower pattern! Wow. They are instant eye openers. i've been looking for some new brown lenses to try and these look great! No need to be jelly anymore because it got snipped! Ahhh they're like flowers!! How prettty! Jennn you are so gorgeous, i love your hair, my friend also has her hair all one length, I really want my hair to grow out so I can do it too, but I have a feeling it'll be too heavy for me to handle- well that's what my hairdresser always says. I think he just wants to chop off as much as possible to make it worth the money he charges me!! 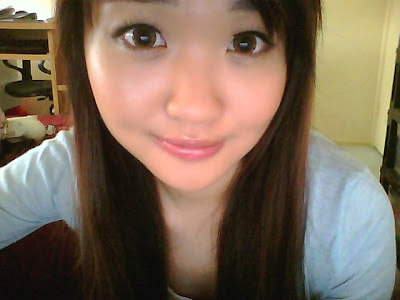 Enter my blog give away to win a free pair of circle lenses of your choice!! love the lens. it looks nice on you. the ring is cute too.